 UNIVERSAL BIKE PHONE MOUNT PRODUCED BY LEEPIYA. GET THE BEST NAVIGATION & TRACKING OR SIMPLY LISTEN TO YOUR FAVORITE MUSIC WHILE RIDING! 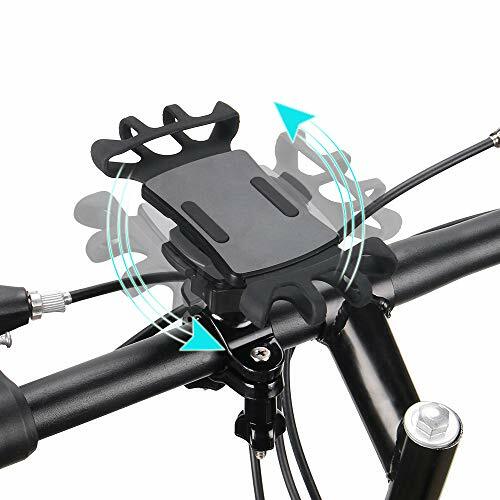 Our phone mount is carefully designed to perfectly fit any smart phone and device up to 3.5" of width, 4.5 to 6" of length ,while also fitting motorcycle and bicycle handlebars 0.6" to 1.4" diameter.  QUICKLY TAKE OFF INTERFACE, when you call, you can quickly take off the phone to answer the phone, the phone clip does not block the phone switch button on both sides, more convenient for use! If you have any questions about this product by leepiya, contact us by completing and submitting the form below. If you are looking for a specif part number, please include it with your message.